The strong colours of silk finish multi thread by Mettler turn everyday grey into a feast for all the senses! The high quality, lint free thread made from 100% long staple Egyptian cotton is double mercerized, extremely soft and easy to work with. 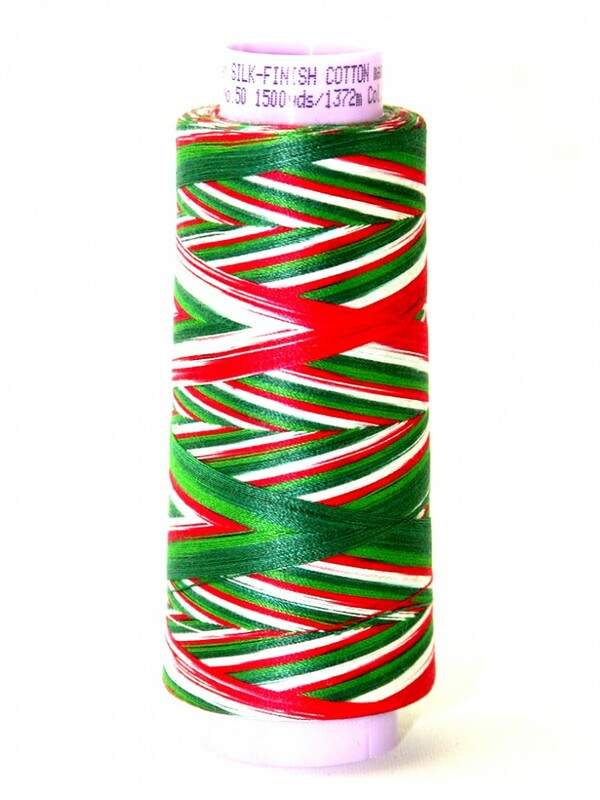 Silk finish multi is the ideal thread for colourful patterns on fine and thicker fabrics. The multi colour thread is very eye catching with its natural shine and harmonizes perfectly with the many silk finish thread solid colours. This natural fibre thread is gentle on the skin and feels soft, smooth and silk like. Due to the mercerization process, silk finish multi reaches a high breaking resistance, has reduced shrinkage and is ironing resistant. Due to the special dyeing technology, an exceptional colour fastness is guaranteed. It also has extraordinary seam elasticity, smooth seams and great care properties. The ideal thread for so many applications including quilting, decorative sewing and machine embroidery!